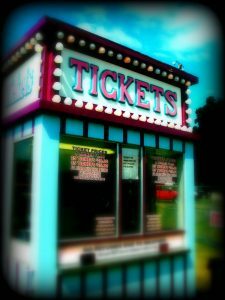 Paying for an in-house event-ticket-sales system is something that many companies don’t prioritize for their websites. Maybe it’s an extra cost they don’t want to incur; maybe they think other sites do it well so why bother? The user experience will never be as seamless when using third party sites with redirects. With an in-house system, users remain on your website through the entire process. You will receive the SEO benefit of hosting original content for your events. You will receive the direct-traffic benefits of hosting your own events. Administratively, you only have one system to manage and update, which is more efficient. An on-site event system can include events that are not just yours, which can add value to your site your website can become a library of actions and a hub for research. How will you collect fees? Will you use only PayPal, or PayPal and Stripe? Would you promote other events, holidays/observances, etc. that could help you be a place that people go to find out about the wider community in your field? This is a bigger scope consideration. Providing a library makes your website a place people return to because it’s the best place for new and current information. If you think an in-house even sales system might be right for you, hit us up to chat about it.